The legal guidelines (.pdf below) are to be followed whenever SAG-AFTRA (short for - Screen Actors Guild-American Federation of Television Radio Artists)®, the Screen Actors Guild Awards®, the SAG Awards®, the Screen Actors Guild Life Achievement Award and the Screen Actors Guild Award® statuette, The Actor®, are referred to and/or pictured for all forms of advertising, promotion and editorial materials.  The purpose of these legal guidelines is to support all film and television production companies and others who want to garner publicity associated with the recipients of the annual Screen Actors Guild Awards. Thumbnail images on this site may be used for editorial preview only. High-resolution image downloads will be provided upon the granting of authorization for editorial use only. To request authorization, please contact the SAG Awards Publicity Office at awardsphotos@sagawards.org. Please include the name of your media outlet or organization, your full name, title, address, telephone, fax, email, and a description of the intended use of these images and graphics. If authorization is granted, you will be provided a link by which to download high-resolution images. Requesting such authorization constitutes your agreement to be bound by the terms set forth above. No authorization is effective and any and all use of these images and graphics is strictly prohibited unless and until the SAG Awards Publicity Office notifies you of your authorization in writing.